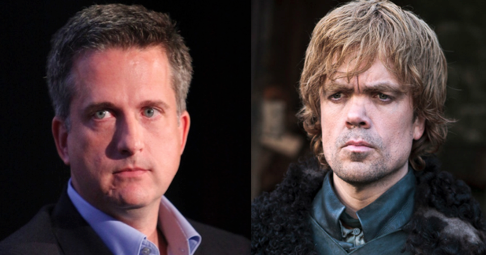 Which Game of Thrones character is your favorite ESPN personality? Here at Awful Announcing, several of our staffers are huge fans of HBO’s Game of Thrones. And while we’re waiting for Season 5 to premiere in the spring (and The Winds of Winter to get published, which will probably take half a lifetime), we thought it would be fun to compare characters from the show to ESPN talent. Especially given some of the cutthroat happenings and various feuding that took place in Bristol this year, the ESPN version of Game of Thrones has its fair share of drama and intrigue. We hope you enjoy this trip to… Bristeros. Even though he doesn’t ascend the throne, everyone knows who holds all the power in King’s Landing – Lord Tywin Lannister. 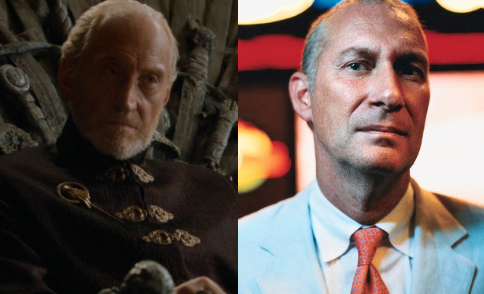 John Skipper holds all the power in Bristol, Connecticut as President of ESPN and he’s just as concerned with keeping the ESPN legacy and lineage as pristine as Tywin is with his family. Of course, that’s easier said than done for both. The fan favorite who gets less respect from his peers than others. Every transgression he commits is heavily scrutinized, despite others doing much worse and escaping without repercussions. And despite all that, he’s done some fabulous work for the kingdom that simply gets ignored. It all leads to a showdown with Skipper when Simmons’ contract expires next year. Everyone hates Joffrey, aside from those close to him – and even those have some sort of level of disdain towards him. Most everyone simply wants Joffrey to disappear forever. 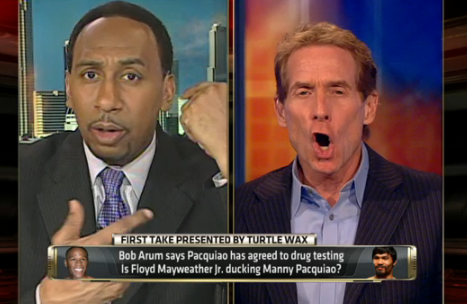 If that doesn’t best describe Skip Bayless, what does? Naturally, Stephen A. gets to play Joffrey’s little brother. What more needs to be said? The innocent young woman caught in the middle of a very ugly situation which has nothing to do with her. And despite her best efforts, there’s nothing she can do to make the situation better… aside from getting the hell out of there and heading to greener pastures. The ESPN executive in charge of First Take is tasked with keeping the beloved sons on the throne by any means necessary, as tyrannical as they may be. Blindly believes Joffrey’s rule has done nothing but good for King’s Landing. I guess you could argue that the former First Take exec just got his swordhand chopped off by The Today Show. Nobody has more spies and inside information on the goings on in Westeros than Varys. His supporting role in the greater story of Game of Thrones is delightful. Similarly, Jim Miller’s sources exist all throughout the Bristol Empire as the author of Those Guys Have All The Fun still has his ear keenly to the ground. Just intelligent enough to scheme his way to the top… and just unlikable enough to reach villainry status. Actually, Littlefinger is way more likable than Cowherd. Has been one of the most powerful men in all of the Kingdoms of Bristeros, but struggling to keep hold of it. Kornheiser lost his influential MNF gig and has remained on PTI-Dragonstone. Also, and most importantly for this experiment, balding. While Wilbon still has all of his fingers, his progression from newspaper columnist to PTI host to NBA analyst has been similar to Davos’s rise from smuggler to knight to lord. If we’re going to follow through on the PTI-Dragonstone theme, the former Stat Boy has to be the captivating temptress of Bristeros. The God of Fire as Good Morning America is rather alluring as well. 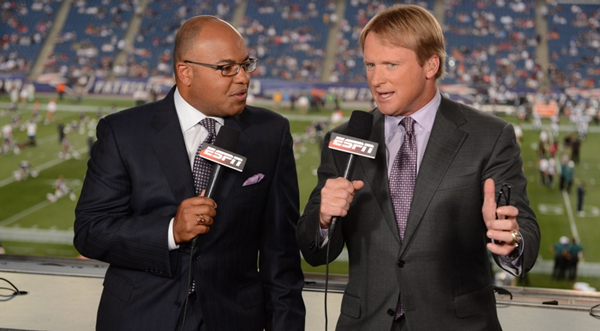 Tirico fills the shoes of Renly Baratheon not just because of his high position in Bristeros, but also because of the brotherly feud with Stannis (Tony Kornheiser) in the MNF booth that was revealed in the ESPN Book. Jon Gruden is Renly’s right-hand man, and we’re just going to end the conversation right there. We’ll just assume Loras Tyrell was also fond of the Spider 2 Y Banana.